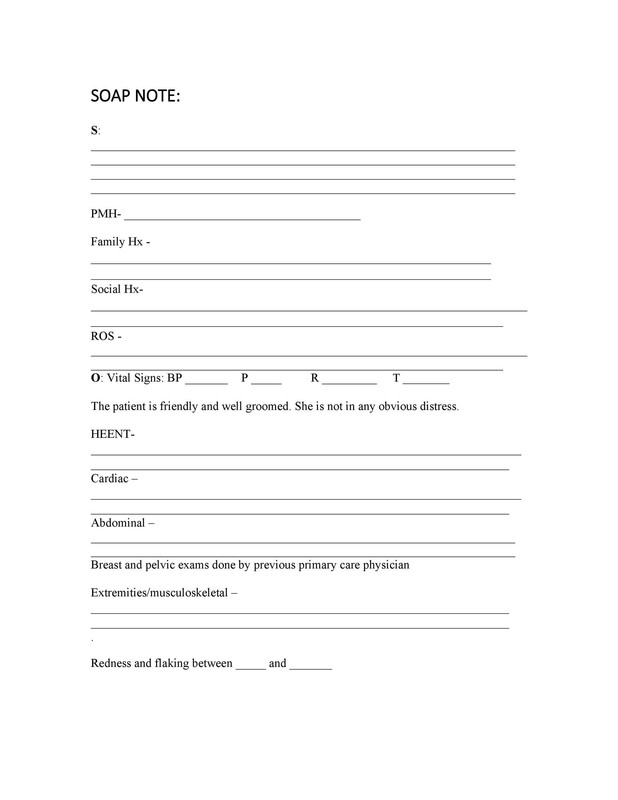 If you have worked or are currently working in a hospital, you probably already know what a SOAP note is. If not, let’s learn all about it. 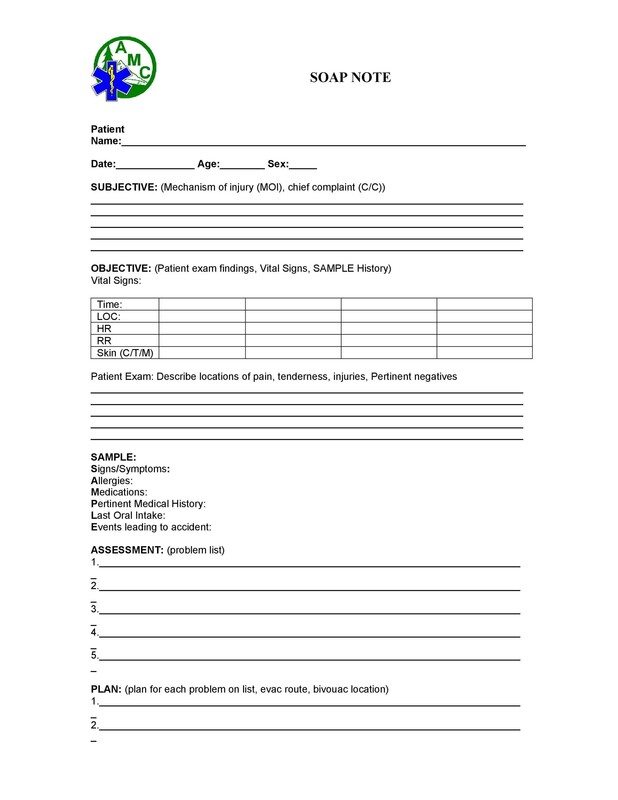 SOAP notes are written documentation made during the course of treatment of a patient. 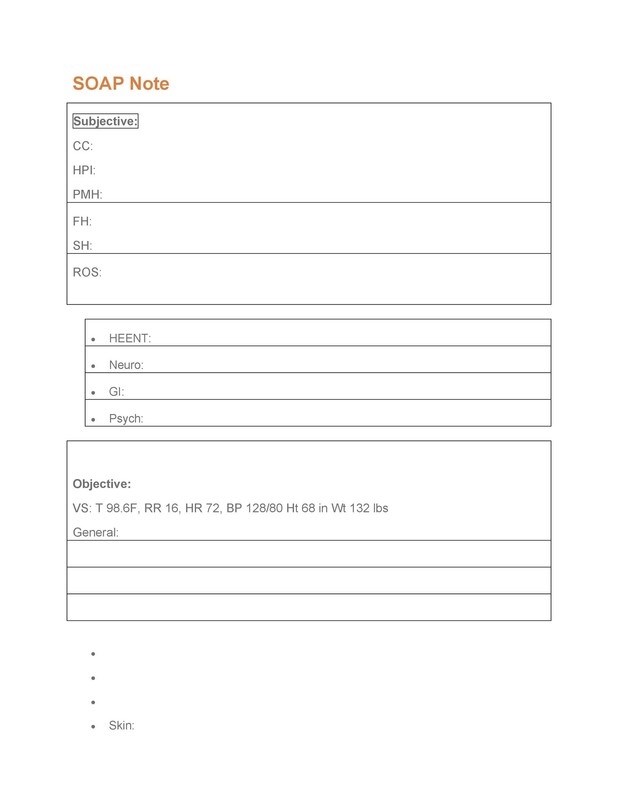 A SOAP note template comes in a very structured format though it is only one of the numerous formats health or medical professionals can use. 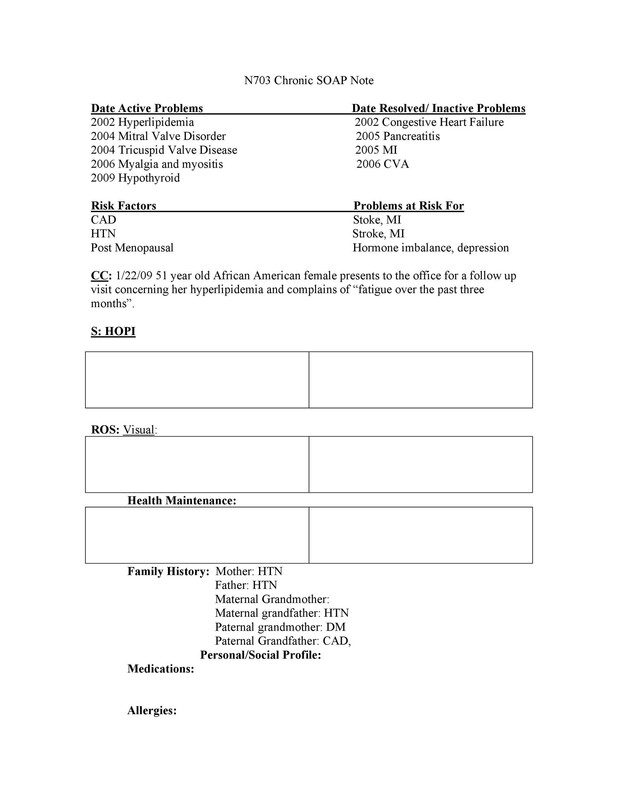 A SOAP note template by a nurse practitioner or any other person who works with the patient enters it into the patient’s medical records in order to update them. It can also be used to communicate any data to other health care providers in case they don’t get a chance to speak verbally. It is essential as proof that the patient is being treated regularly and effectively by different people. 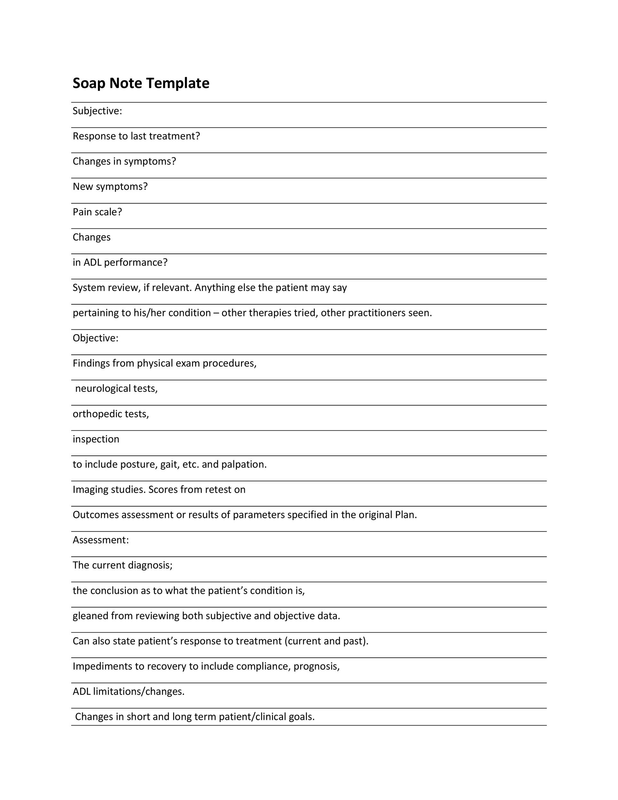 Subjective – This basically refers to everything the patient has to say about the issue, concern, problem and intervention procedures. 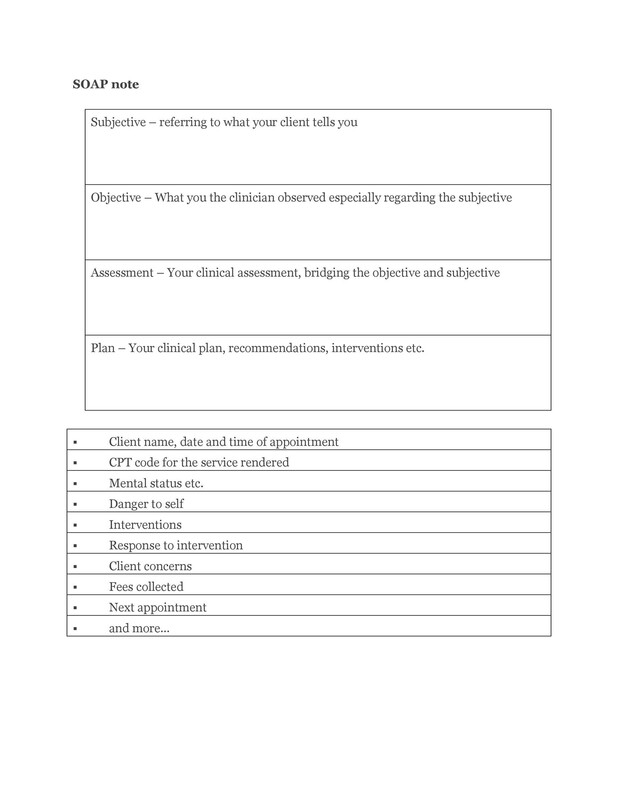 Objective – This, on the other hand, refers to what the health professionals have observed and what their treatments or intervention procedures are. 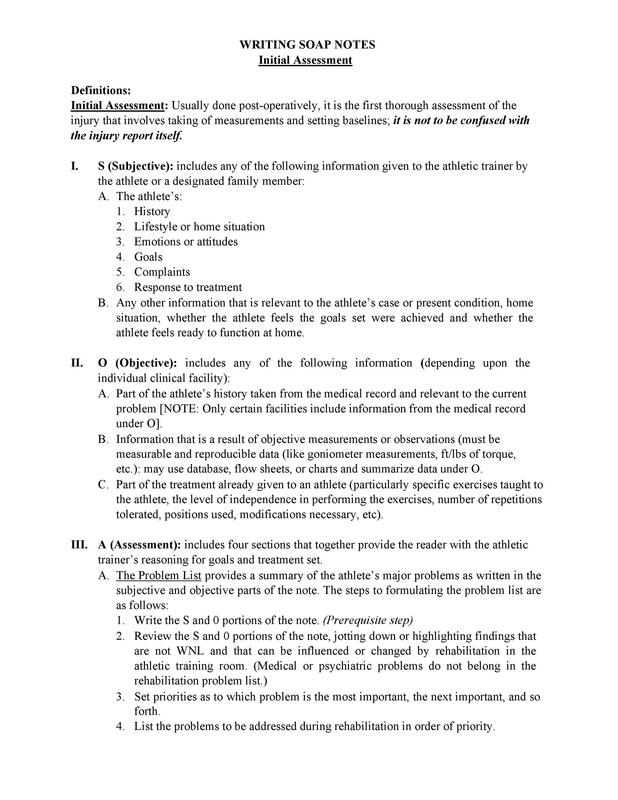 Assessment – This refers to the analysis of the health care providers regarding the different components involved in the assessment. Plan – This refers to the procedures which will be involved in order to successfully treat the patient or reach whatever objectives have been set at the beginning. These also happen to be the different components of SOAP notes, which we will be discussing further in this article. 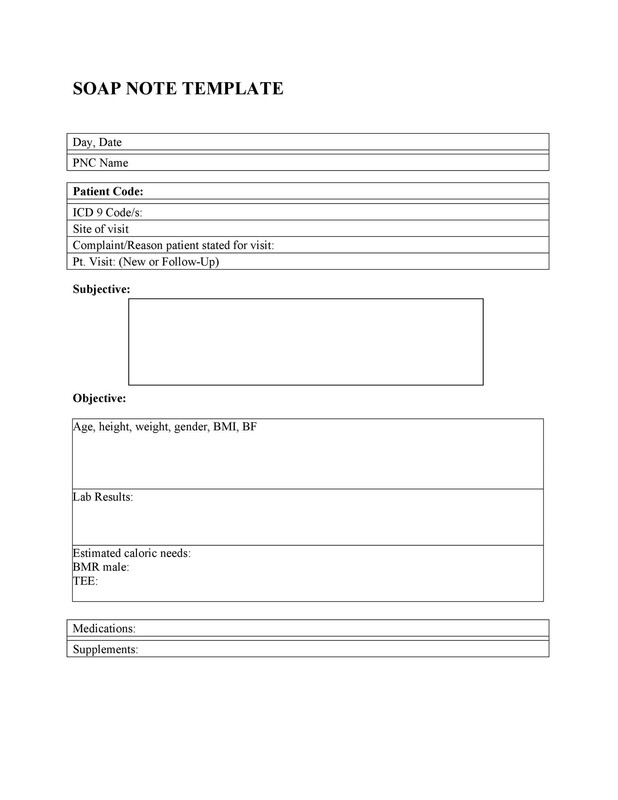 SOAP notes are a type of documentation which, when used, help generate an organized and standard method for documenting any patient data. 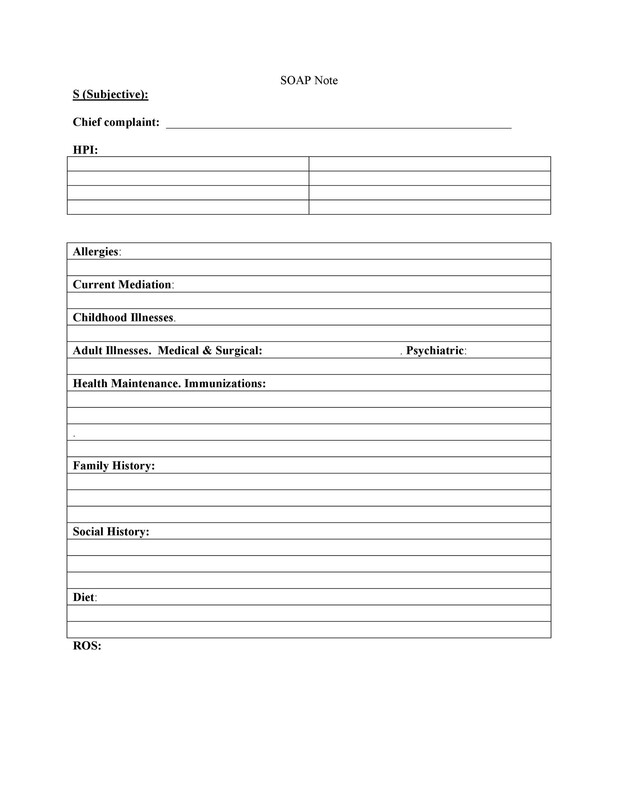 Any type of health professionals can use a SOAP note template – nurse practitioners, nurses, counselors, physicians, and of course, doctors. 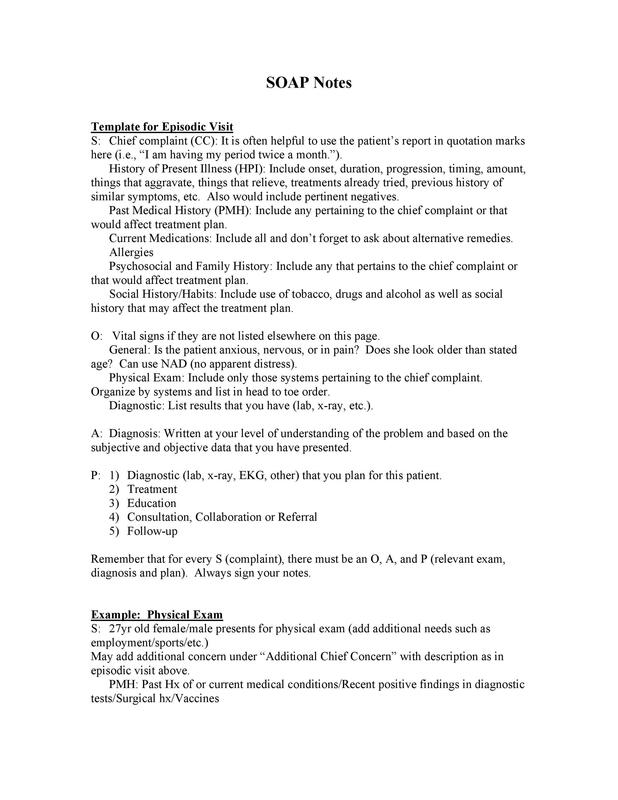 Using these kinds of notes allows the main health care provider to collect information about a patient from different sources, ensuring that the treatment procedures are accurate. 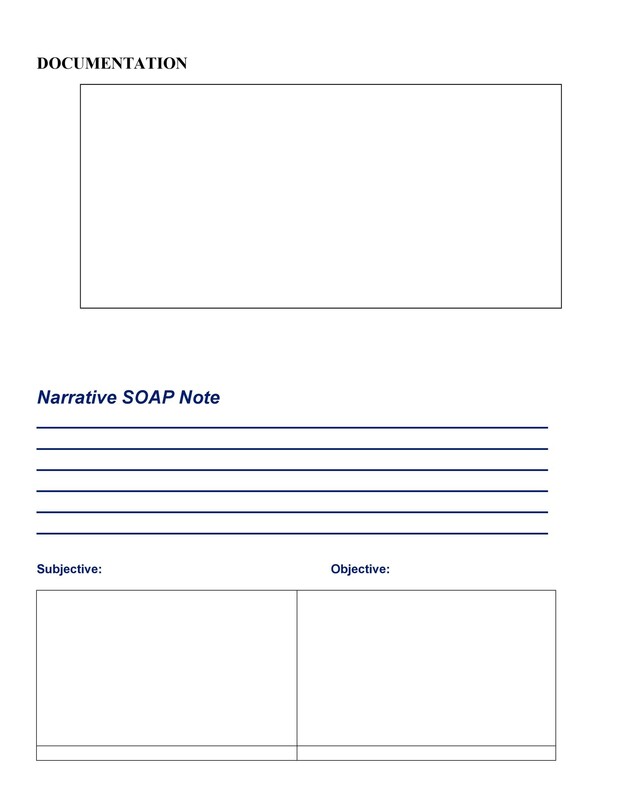 In this article, you will learn everything you need to know about SOAP notes – from the history, benefits, components to tips and steps in writing it yourself. First, let’s discuss a short history of SOAP notes and how they came to be. SOAP notes have been around for some time now and because of their efficiency and functionality, they are still being used now. 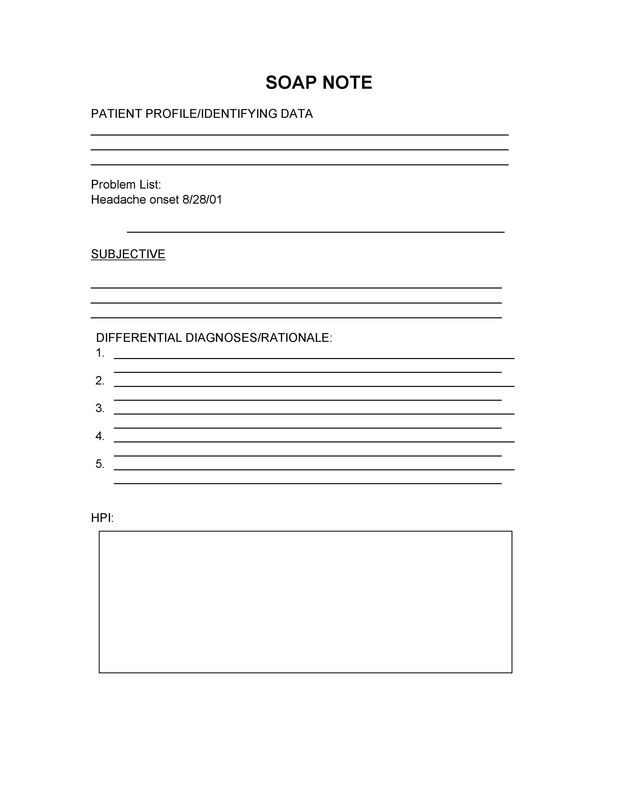 The very first SOAP note template was created and developed by a brilliant doctor named Lawrence Weed way back in the 1960s. It was done at the University of Vermont as an element of the POMR (Problem-Oriented Medical Record). During those times, objective documentation did not exist so physicians had the tendency to make decisions about treating patients without scientific basis. With SOAP notes, each note was made and connected with a concern which had been identified by the main physician, so it served as only one element in the whole recording process. 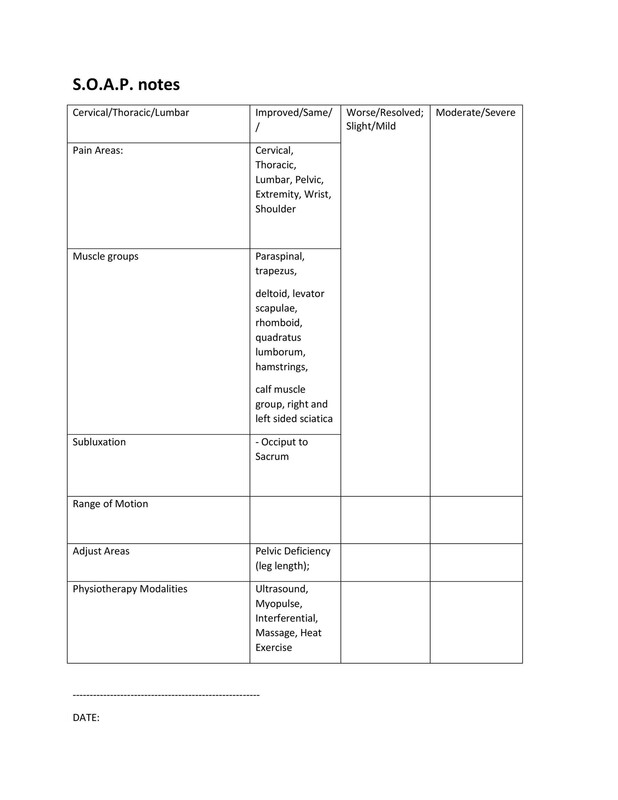 However, because of the organized format of SOAP notes, a lot of other disciplines started to use it over the POMR, and so it gradually gained popularity. 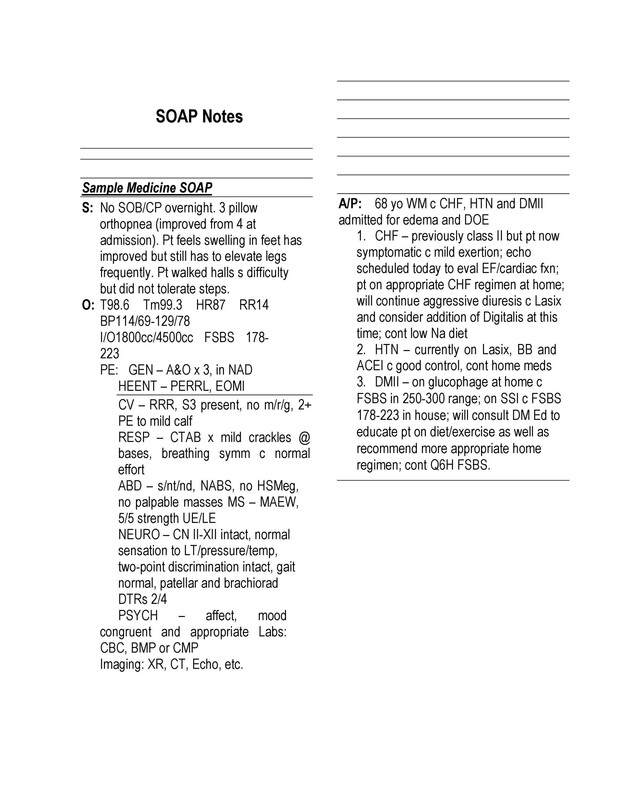 SOAP notes gave doctors, physicians and other health professionals a way to communicate with each other using a structured and organized format. Early in the 1970s, those who had begun using these notes were able to retrieve patient information and patient records and use them for reference for other similar medical problems. The structured and organized feature of SOAP notes made documentation and communication a lot easier and now, more modern methods are still deriving a lot of their aspects from the simple SOAP notes. Now, these are very common and are being used and practiced all over the world. The history is short and sweet, but the benefits and sustainability is another story. 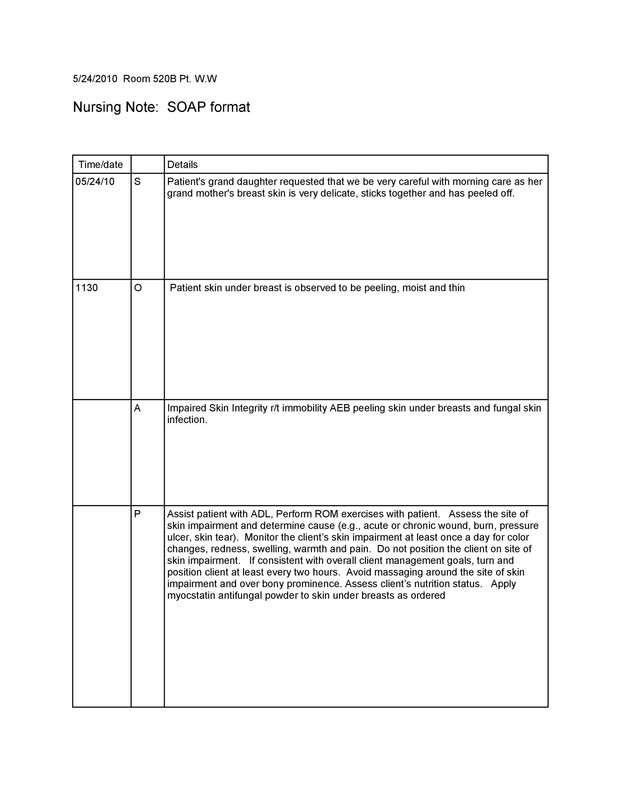 In the next section, we will be discussing the different benefits of writing SOAP notes to record pertinent data about a patient. 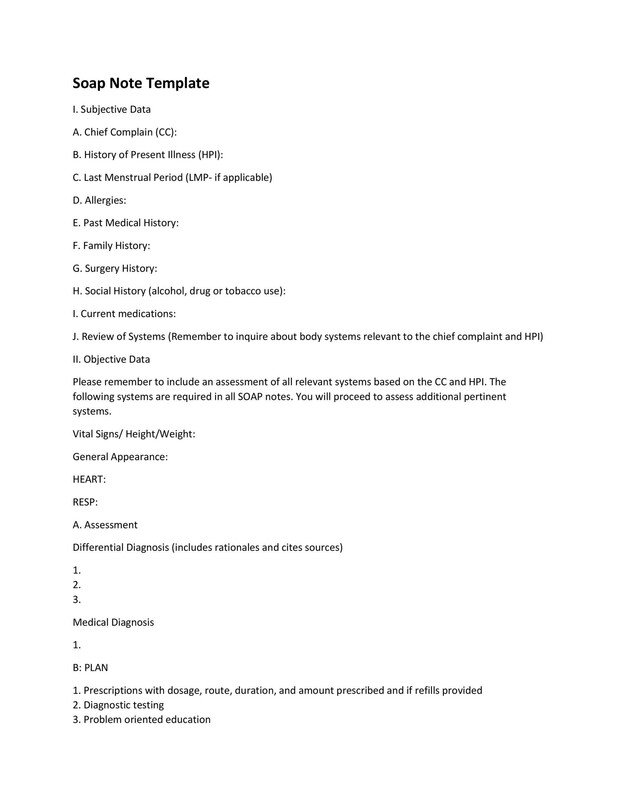 As you’ve seen from the introduction and the history, a lot of people can write a SOAP note template, nurse practitioners, doctors, nurses and other health care providers in charge of treating patients. 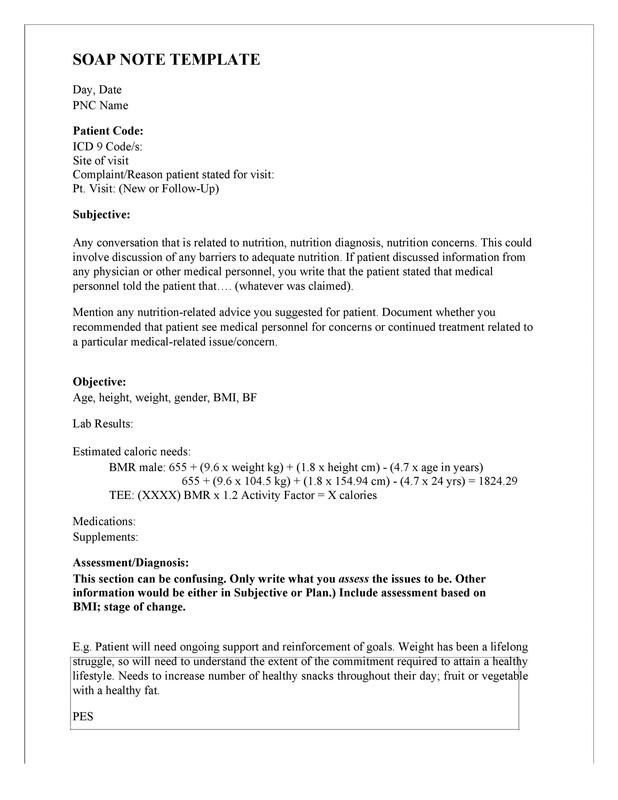 It is very beneficial to write down notes to keep track of and record the progress of treatments of patients. It would serve as an important part of the treatment you had provided to a patient. 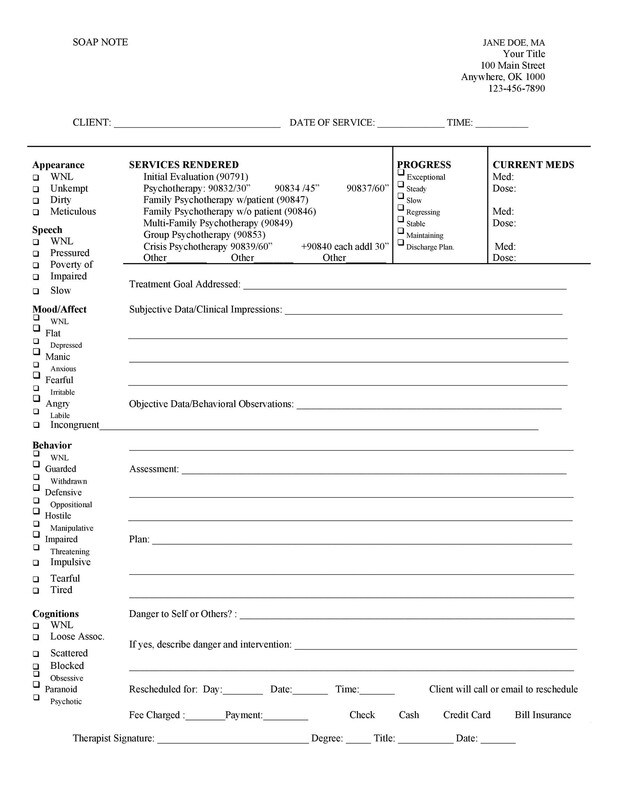 It is an official document which is to be added to the records of patients. Having these notes would prove that there had been regular patient contact throughout the whole treatment period and the stay of the patient in the hospital. It would serve as evidence of your ability and skill to adhere to hospital practices and guidelines. After you’ve administered treatment to a patient, writing a note about it would inform other physicians that you were able to competently help the patient. On the side of the patient and the family as well, you’d have concrete proof to show them in case they have any questions about the treatment. It also serves as a record or documentation that quality care had been consistently given throughout the whole course of treatment of the patient. This is especially important for patients who have very sensitive or complicated concerns. Documenting everything which had been done and every step which had been taken would be the most effective way for all health care providers involved to communicate with each other and keep each other updated on the status of the patient. It may serve as a validation of your treatment procedures in the long run. Nowadays, a variety of illnesses and health problems are emerging and when you document all the treatment procedures you have used on patients – whether successful or not, you can use these records as a reference for when you encounter the same problems or similar issues with patients. When you have been able to successfully administer treatment to a patient, you can make a note of that to remind yourself and inform other practitioners as well. Written and narrative notes are the oldest and most enduring method for documentation so chances are, the majority of health professionals are familiar with them. 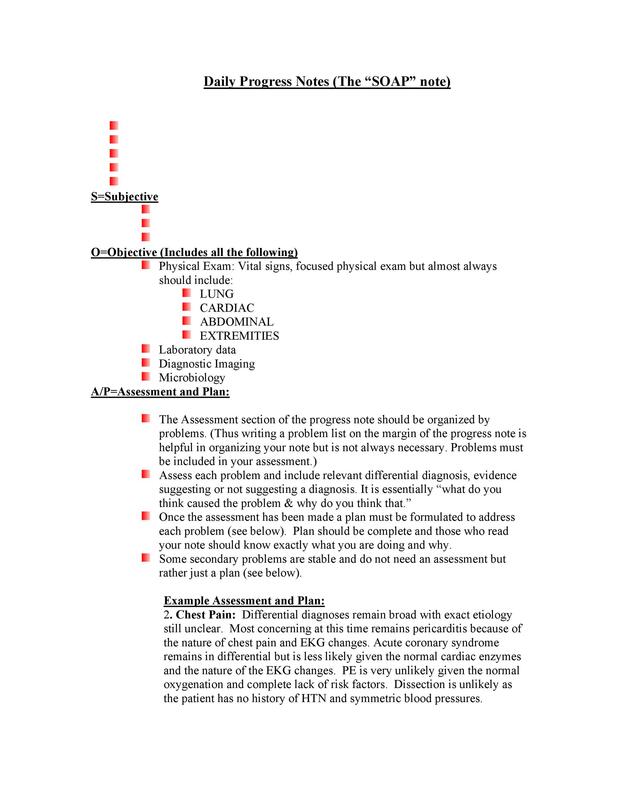 Though there are different formats for documentation, SOAP notes are the most organized, structured and easy to understand. 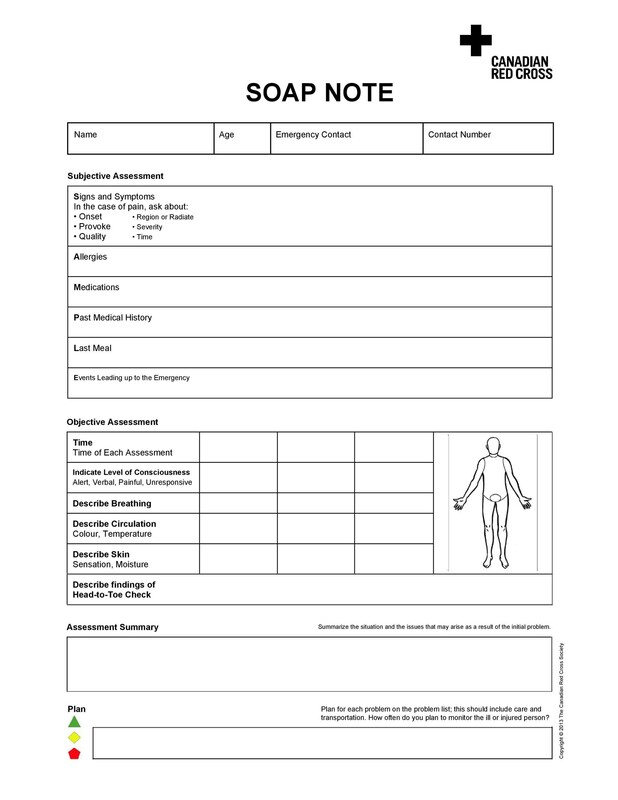 Though structured, SOAP notes are also quite flexible in the sense that they can be used in a variety of clinical settings. 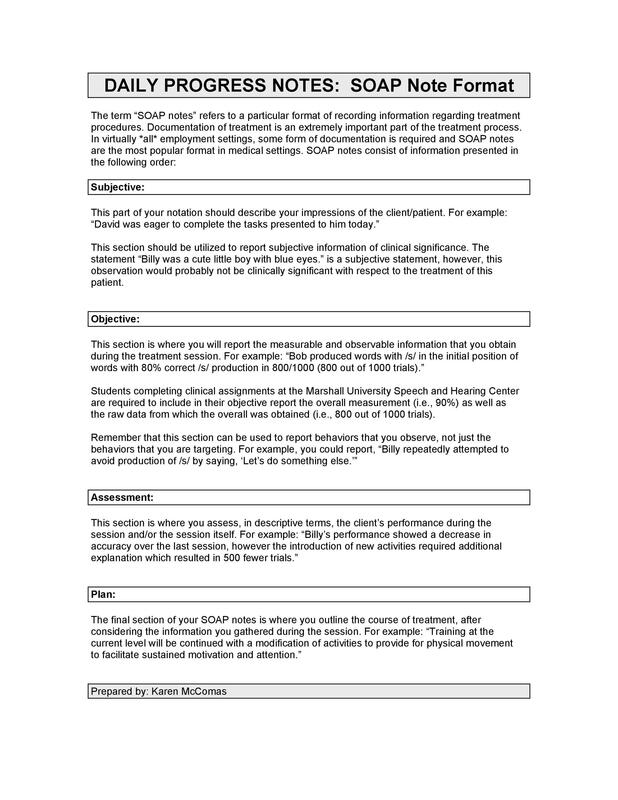 This method of documentation would give an overview or an overall picture of whatever treatment or patient care was given over a period of time. 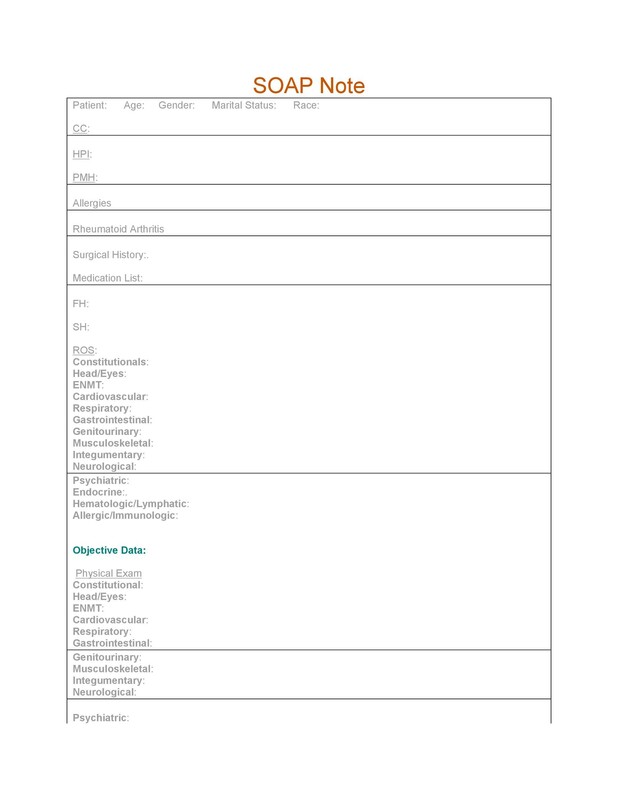 It can also be easily combined with other documentation methods such as patient’s medical records to form a more comprehensive document regarding the patient. As you can see, these benefits are good not only for patients but all other health care professionals involved. This is because it paves the way for them to be able to communicate effectively while keeping track of the whole process of treatment of a patient. 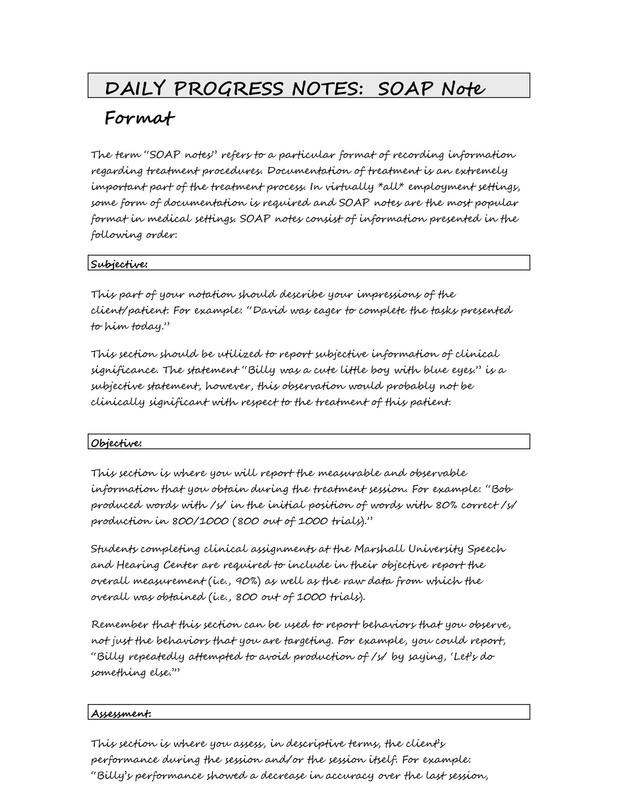 Now let’s move on to the different components of a SOAP note template. Knowing these would allow you to get a better feel of how to write your own notes. Knowing the brief history and many benefits of making SOAP notes has probably made you more interested in learning even more about them. As previously stated, SOAP is actually an acronym which refers to the different components which must be present when writing it. These components can be worded in different ways as long as you follow the format and make sure that what you are writing signifies the essence of each and every one of the components. The onset of the injury or illness. The patient would have to give the exact date when the symptoms have started or at least a good estimate date. A chronology of events of the illness. This would include when the patient first began to experience symptoms, when it got worse, if any relief was felt and such, all the way up to the point when the patient had gone to the hospital. Specific body parts which are affected in the complaint. The pain may be concentrated in a specific area or there may be a pain in different parts of the body. The patient would have to specify all these. 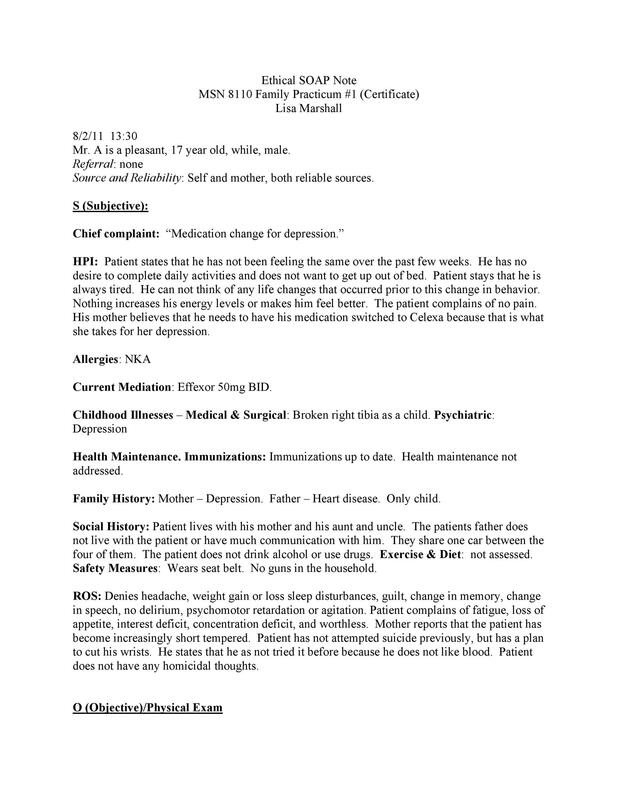 The description of the illness or what the patient is feeling. 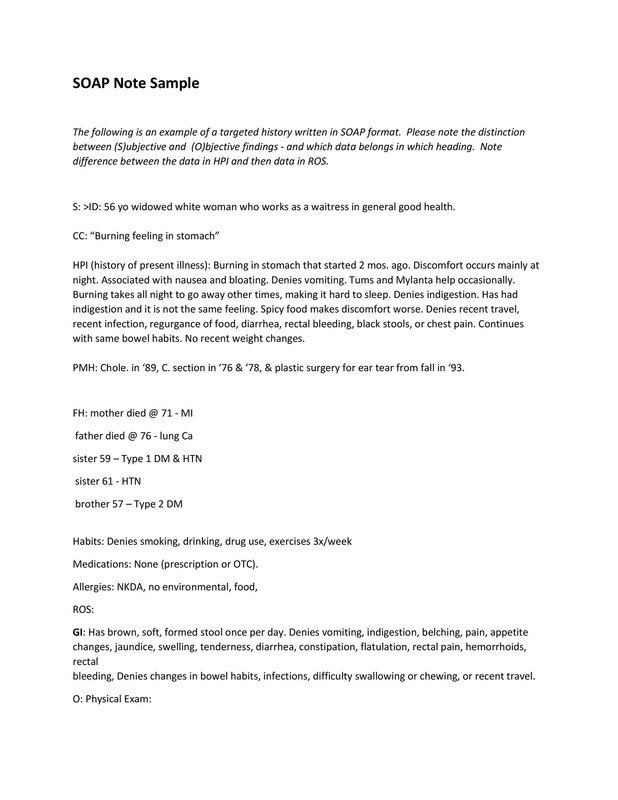 The quality and severity of symptoms are included here so that the attending physician could evaluate the patient better. 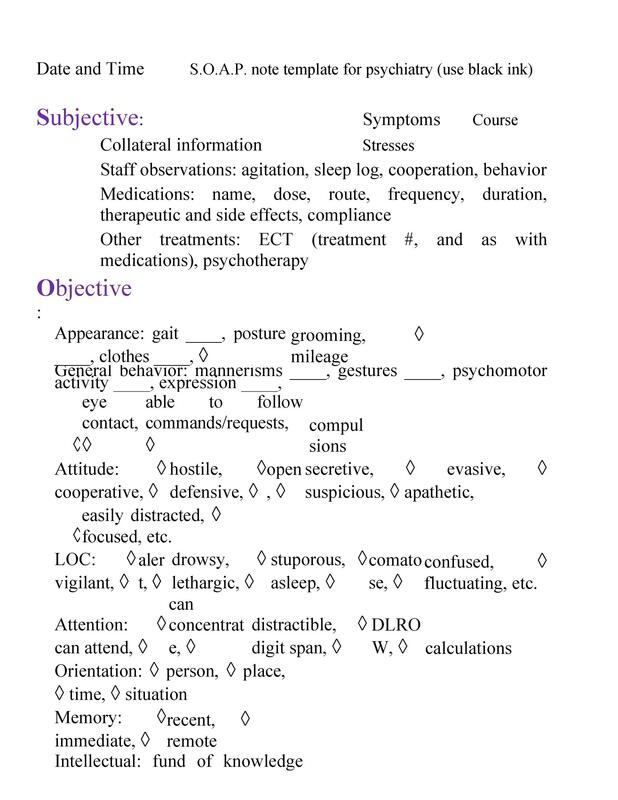 Factors which had affected the patient or changed the quality or severity of the symptoms. Some examples of this would be if the patient felt better after taking certain medicines if the patient feels better or worse when in certain positions and other such factors. Any other symptoms which are significant, though may seem unrelated to the main complaint. These may help in determining what is wrong with the patient. Treatment which may have been given to the patient prior to the hospital visit. The patient may have already gone to a different institution or consulted with a different physician. This needs to be clarified so that the current health professional can communicate with the previous one if the need arises. 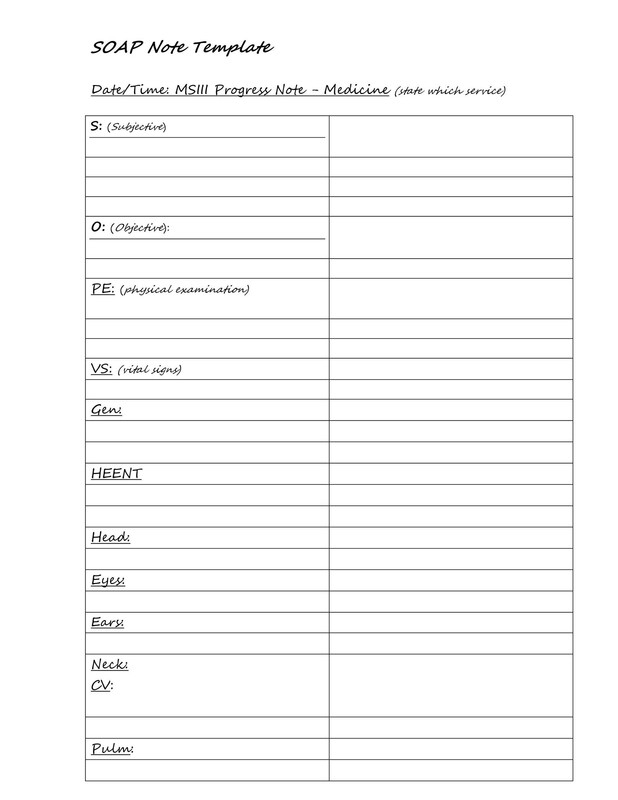 A record of the initial vital signs taken from the patient as well as any findings or results from preliminary physical examinations. This would include the patient’s posture, any wounds or bruising, visible injuries, high temperature or any other abnormalities which are found in the patient. 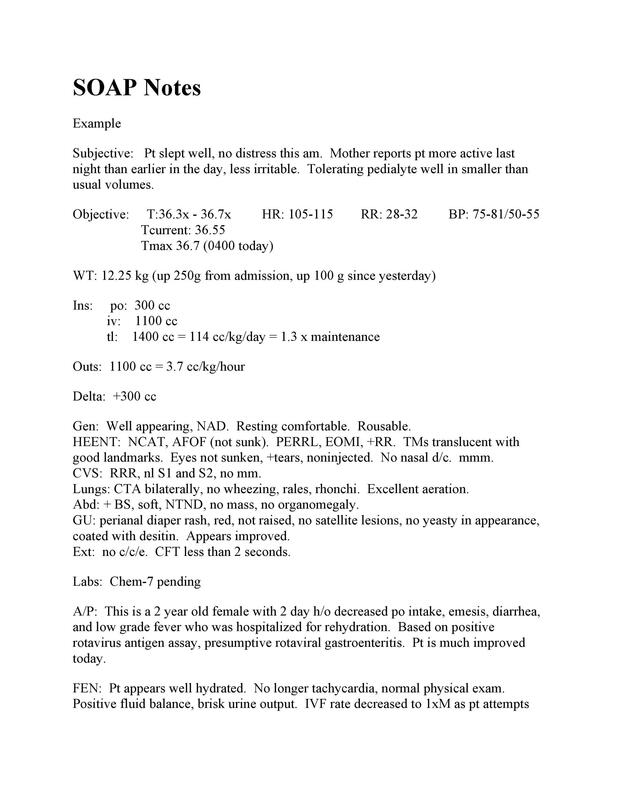 Physical measurements such as the weight and height of the patient. Any and all results taken from laboratory examinations, whether stool, urine or blood. The physician’s observation regarding the reactions of the patient while being treated. This could be in the form of nervousness, flinching, grimacing or any other indicators which may signal a deeper issue. 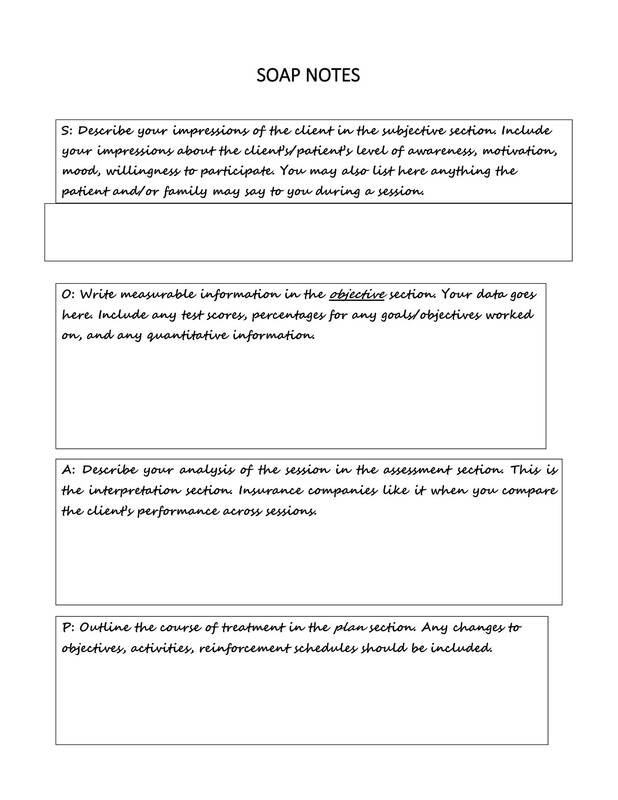 Objective statements, findings, and observations which correspond with the previous component. The subjective and objective components have to tie in with each other and not have any radical differences. This component would contain the initial diagnosis of the physician based on the first two components. The main purpose of the patient’s medical visit is to seek treatment and so the assessment should contain all the symptoms stated by the patient along with the diagnosis of the illness or injury. It should also include a differential diagnosis or a list of other likely findings, arranged in order of the most likely one to the least likely one. This would ensure that all possibilities are considered and nothing is overlooked. The assessment could also contain all the possible causes of the patient’s problem, especially if the patient is experiencing an illness. If the patient had made a visit before, it should also contain the progress which had been made since the last visit as well as the overall progress towards fully treating the symptoms, based on the perspective of the main physician. Any drug related issues or drug induced issues should also be included along with any evidence and reason behind it. The pharmacist can be the one to write a note about this. Any other risk factors, evaluation for therapy options should be included as well in order to make a detailed and comprehensive assessment. This final component should contain whatever plan or process the physician will be doing to treat the patient and eliminate any health problems or concerns. If needed, further laboratory examinations can be done along with other examinations such as a radiological procedure. Referrals to specialists can also be given, crucial procedures may be performed and medication (along with the supplemental education) can also be given to treat a patient. All these must be included in this component of the note. If any kind of therapy is involved, the goals of the therapy should be specified along with any drugs which will be administered throughout the course of the therapy. 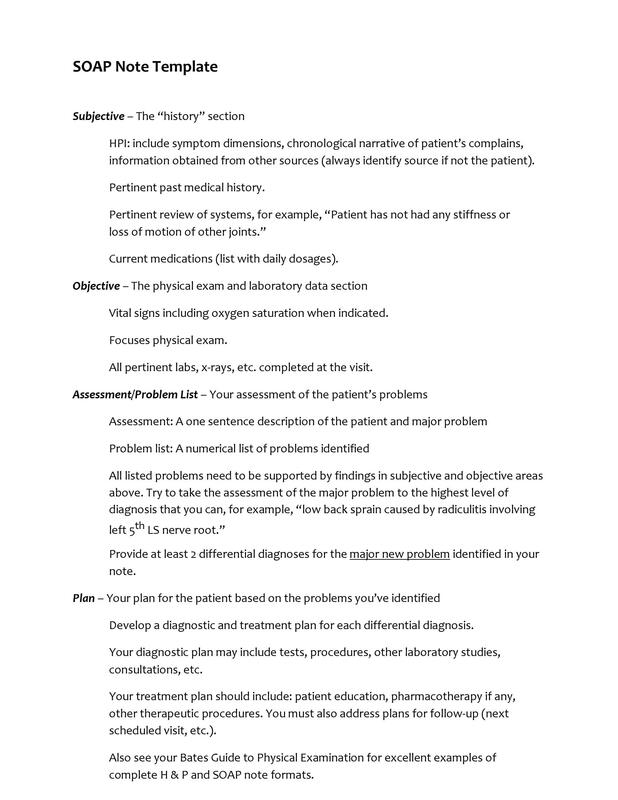 A plan must be made for each and every item in the differential diagnosis especially if the patient has more than one problem with his/her health. The plan would then specify which concern is to be addressed and treated first, based on the severity of the illness or concern. 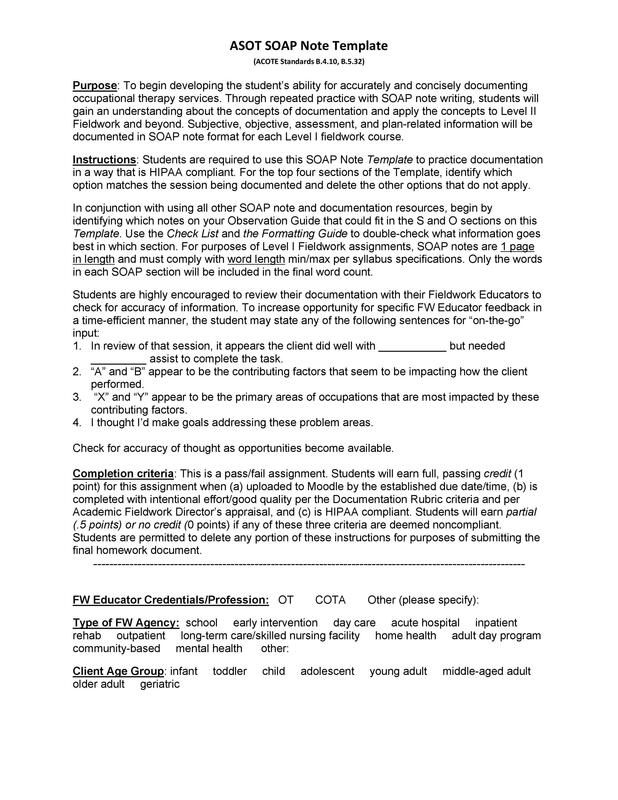 Usually, the Assessment and Plan components are grouped together to make things a lot easier. A problem is stated alongside the treatment for it. 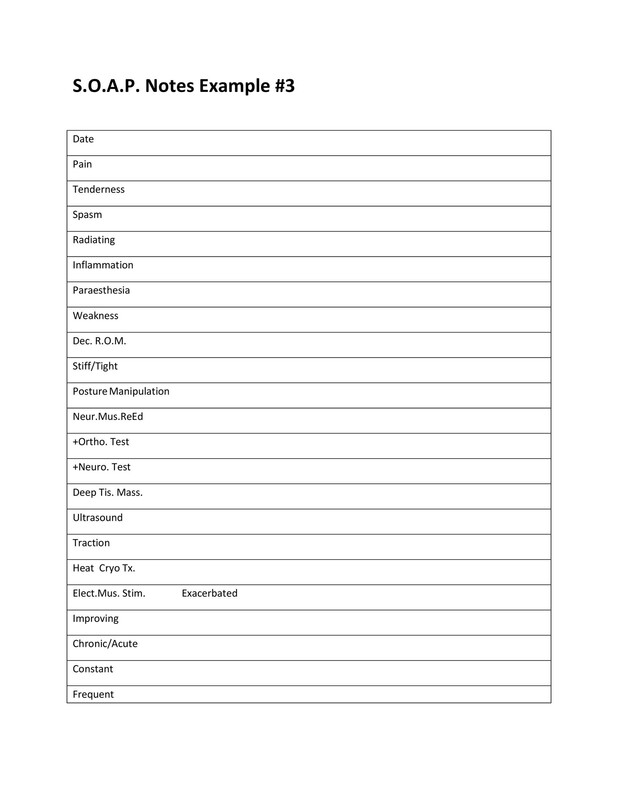 These essential components must be present in all SOAP notes so that they are effective and can be added to the medical record of the patient. Now that you know all about SOAP notes, let’s move on to the most important part – actually writing your notes. 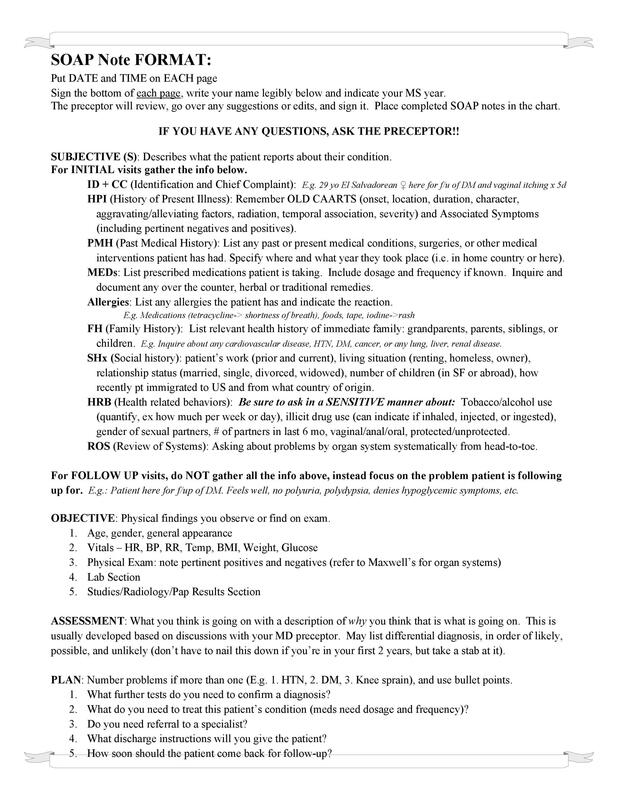 You have to know how to efficiently write SOAP notes so that you are able to provide the relevant information to inform other physicians and ultimately help the patient as well. Fill in the subjective component of the note. You can get all the information you need in this portion from the patient. This would be the whole history of the patient’s complaints along with all the issues or concerns he/she has. 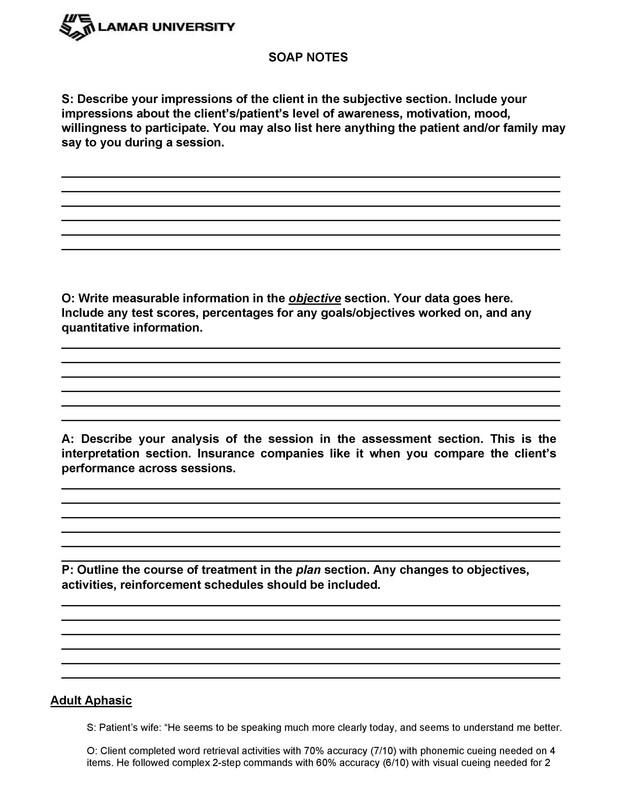 The patient would be talking to you so be sure to know what questions to ask in order to make a great narrative for the subjective component of your note. 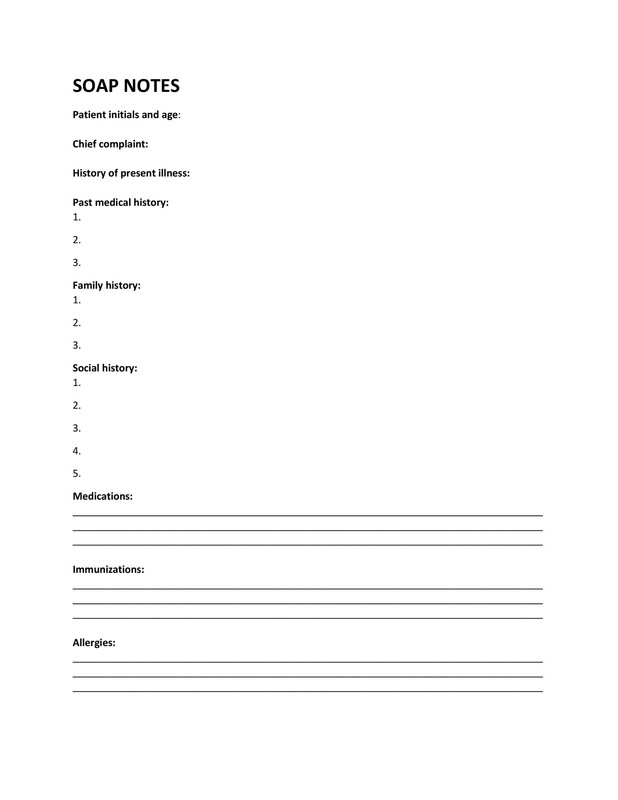 The history of the patient’s injuries or illnesses is very important as you will be using it to complete the next part and component of the note. Avoid asking questions which would only lead to “yes or no” answers as you would not get the information needed. 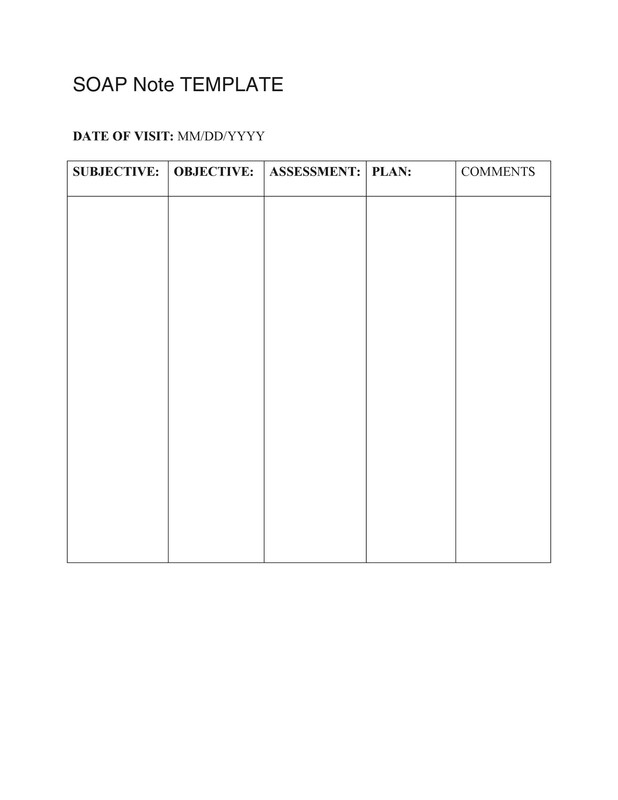 When you’ve completed the subjective portion, go on to writing the objective part of your note. This would contain what you as a physician or health professional has observed from the patient. While you are asking questions, you would also be examining the patient and making observations about the patient’s behavior. You may ask for examinations to be given, such as laboratory examinations if you feel that there is a need for it. Narrow down the injuries and probable illnesses by evaluating the symptoms and checking the results of the examinations you have made. 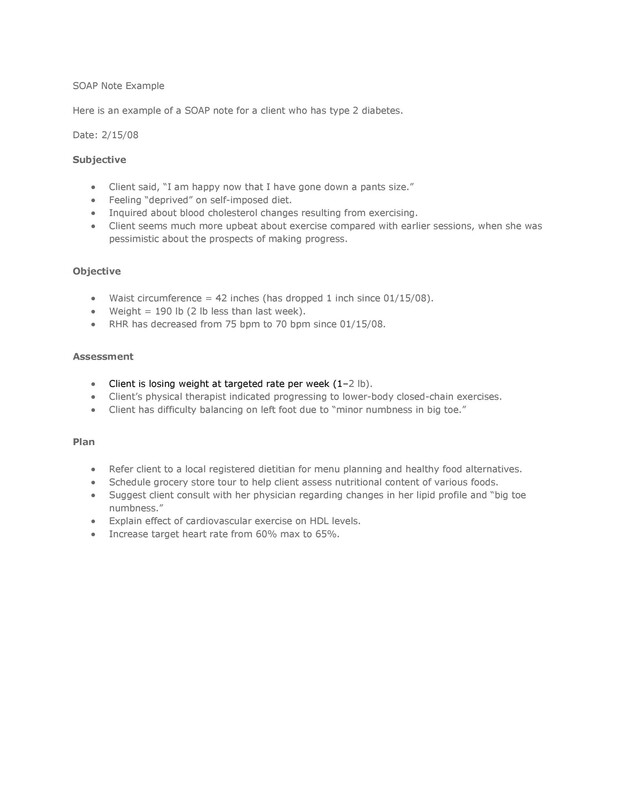 Record and document all the assessments you have made based on your objective reports. Make a list of diagnoses and arrange them according to possible likelihood until you reach a diagnosis which you are sure of. Make sure to record any and all possibilities so you don’t miss out on anything. As you progress, you will be able to rule out other diagnoses until you’re left with the actual cause of the illness. 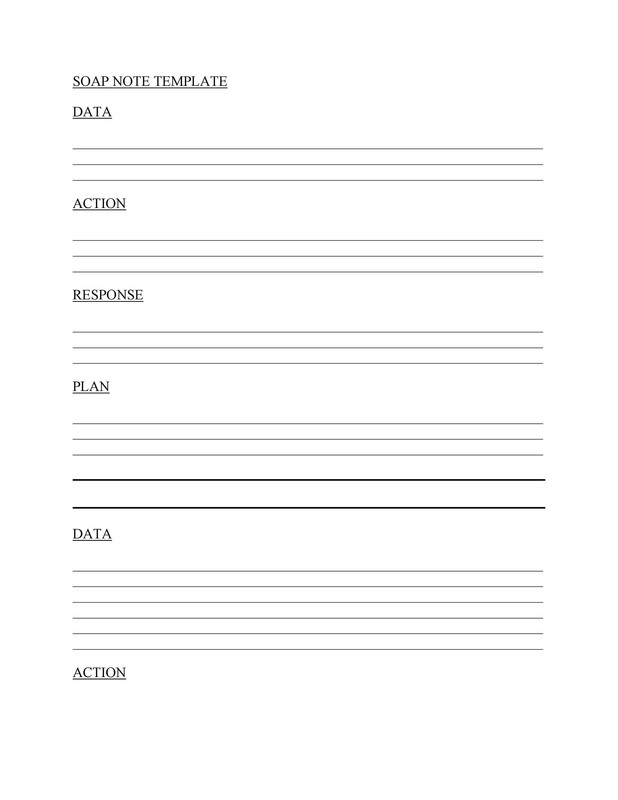 Write down your plan of action and all the treatments you plan to give to the patient. Specify the treatments, therapies, and drugs – never assume that other physicians would know what you’ve written about. 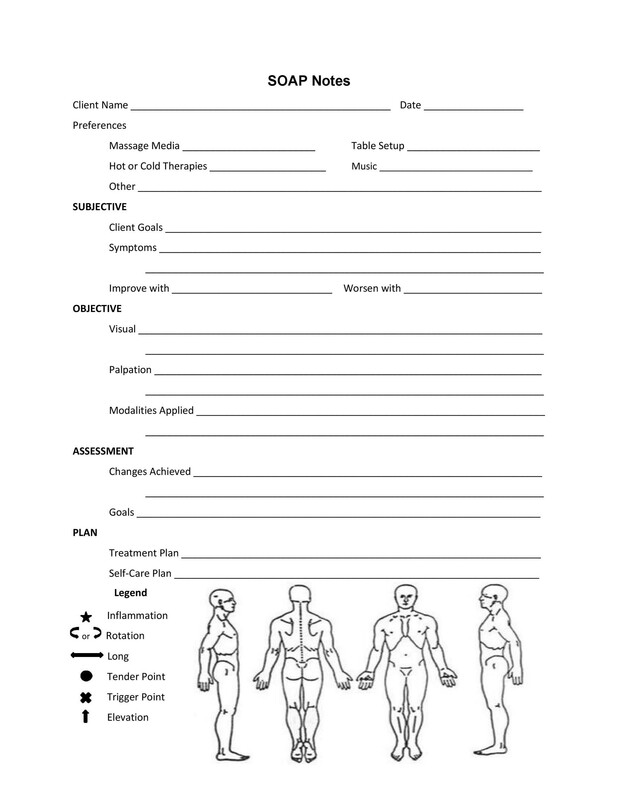 Be sure to make a fully detailed plan as it will be used as a reference for daily treatments and procedures.